When I received my first bottle of 26.2 Brew last month from Marathon Brewing Co., a subsidiary of Boston Beer Co. (owner of 2019 NY International Beer Competition double gold medal winner Samuel Adams), I knew I couldn’t just pull it out of the refrigerator, plop on the couch next to my pups and enjoy like any other beer. This isn’t just any beer: it’s beer inspired by the Boston Marathon and geared to help runners and others who deserve a drinkable beer for their hard exercise. Some runners might even call it a “recovery beer”—not to recover from a night out partying on the town, but from an hour or two or exercise. As such, I went out for a run around the spacious Washington D.C. National Mall (think Lincoln Memorial and Washington Monument) near where I work. While 26.2 Brew is named after the official marathon distance, I opted for a 5-mile run that late winter day. It was a good brisk workout in near 50 degree temperature that still had me sweating when completed. Rather than just reaching for the water cooler when I got back to my office or a bottle of Gatorade, I poured some 26.2 Brew into a glass. The golden hazy ale has just 9 grams of carbohydrates and only 120 calories so it’s a light beer for sure. But its no Miller or Bud Light. Made with Himalayan sea salt and coriander, the beer had some subtle flavors to match. I’m not saying you could drink 26.2 Brew like water, but it did go down easy and was light enough to easily quench my thirst and then some. I could easily finish a bottle or two as just reward for sweat-filled workout, but without feeling guilty that I was gaining back all the calories I had just burned off. The 26.2 Brew was released to store shelves nationally the first week in March, and is a new take on a Boston Beer (Sam Adams) ale brewed just for finishers of the Boston Marathon since 2012 and a select few other marathons. After all, we’re in running season now in the US, and runners can expect to see many local races of all distances in the months ahead. The beer was developed by Shelley Smith, a brewer from Boston Beer, marathon runner and triathlon finisher, to provide “purpose and balance for drinkers seeking more.” She says, “As someone who loves beer and running, having the opportunity to brew a beer that helps runners celebrate their hard work was a passion project for me.” Smith is also an advanced Cicerone and manager of research and product Innovation at Boston Beer. "Understanding what is important to runners is what made brewing this beer different from what is currently available. While most brewers are stripping flavor to hit a certain calorie mark, we focused on brewing a beer that not only fits what runners were looking for, but also delivered a great taste." As she developed the recipe, Smith invited other runners—including her brewery teammates as well as Boston Marathon champions Meb Keflezighi and Desiree Linden—to gain insight into what drinkers and athletes want in a beer. 26.2 Brew is available nationwide on draft in your favorite bar and in stores in six-pack bottles, 12-pack slim cans and 24-oz cans. The beer is a new endeavor from The Boston Beer Company, allowing brewers to experiment and develop beers with a new wave of drinkers in mind. Consumers seek better, and healthier alternative options in their daily lives. Boston Brewing started brewing a beer for the Boston Marathon when the company kicked off a partnership with the race in 2012. Founder and Chairman Jim Koch didn’t just want the company’s name listed on race bibs along with other sponsors. He wanted to create a beer for the event, which he completed in the 1970s. 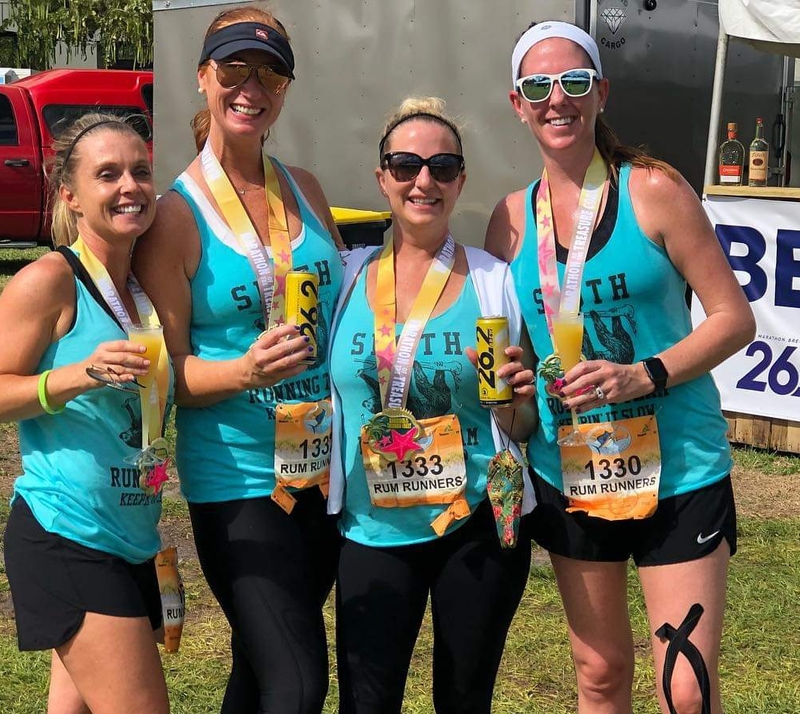 The lower alcohol beer makes it a decent source of hydration and because it uses salt, it can be an electrolyte replacement, which runners crave after a race or workout. The move to launch a lighter beer also follows some of latest trends in craft beer, which for years gained growing numbers of fans by concocting high alcohol beers from rich chocolate stouts to double IPAs. As craft beer moves to take any ever greater piece of the overall beer drinking market, the industry is looking to tap into this type of beer that it has long left for the corporate giants such as Miller and Budweiser. Nowhere can that be seen better than with Rehoboth Beach, Delaware-based Dogfish Head Craft Brewery’s new Slightly Mighty. The 4% ABV IPA clocks in with just 95 calories and 3.6 carbohydrates. But while it’s light bodied, a touch of monk fruit provides a punch of flavor and tropical aroma. Dogfish, which has made beers where alcohol by volume tops 15%, is releasing the beer nationally in April. Boston Beer is not the only brewery that has made a beer for its local marathons. Others have included Titletown Brewing’s 26.2 for the Green Bay Marathon in Wisconsin and Arcadia’s Big Finish Pale Ale for the Kalamazoo, Michigan Marathon. Though at first it may seem like an odd combination, exercising and craft brewing have enjoyed a rich partnership. Dozens of breweries today make room for yoga on weekend mornings. And breweries such as Port City in Alexandria, Va. serve as meeting spots for weekday running meetups—a perfect place to finish any workout. And 26.2 Brew joins a small but growing number of beers designed and named to go after the so called “recovery” market. Others include Boston-based Harpoon Brewery’s just released Rec League (3.8% abv. made with sea salt) and Boulder, Colorado-based Avery Brewing ‘s Go Play IPA (5.5% ABV made with sodium and potassium). No one, of course, is saying these beers will make you healthy—even if you are a regular runner, biker or triathlete. But for craft beer fans, the trend is showing independent brewers can meet needs of athletes and weekend warriors looking for lighter but tasty beers.